The city of Jos in Northern Nigeria has suffered severely from many long years of inter-religious violence at the hands of the terrorist group Boko Haram and just now when it seems to be recovering like the phoenix from the ashes, the incessant Fulani herdsmen attacks that have already affected many other areas in the Country, are putting an end to these hopes. At the end of September, another fresh cycle of violence was triggered off by a night attack of the herdsmen on Rukuba Road in Jos. Two days earlier, both the military and Fulani herdsmen had come to the area, claiming to search for the corpse of a missing Fulani boy. The outbreak left rendering so many people orphans, widows and helpless. One such person is Blessing Kogi, a 23 year old University student who lives in Jos with her family. In an interview with the pontifical foundation Aid to the Church in Need (ACN), she explained how she in one night lost her mother, three siblings and six other family members to a tragic attack by the Fulani men. 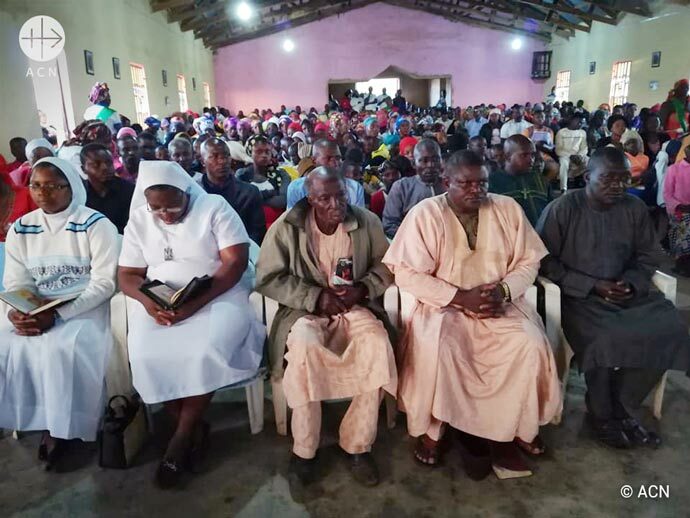 Parishioners of St. Francis Parish Fwapwa at the Mass in honour of those killed in the Fulani attacks. Blessing’s father survived only because he was at work when the terrible attack occurred. “This situation has really affected my faith as a Christian. Immediately after all this happened, I said many things without even knowing why, like I doubted whether Christ was really there, but I later realized that God is alive and He knows everything and so I leave everything in His hands. Now, I find strength in praying and singing praises to God”, she said. The Fulani herdsmen, also known as the Fulani militia, are a nomadic, pastoralist ethnic group living in the North and central regions of Nigeria, predominately in the Middle Belt. The majority of the Fulani herdsmen are Muslim. They have been clashing with indigenous tribes and locals, mainly Christian farmers, over grazing land for years. 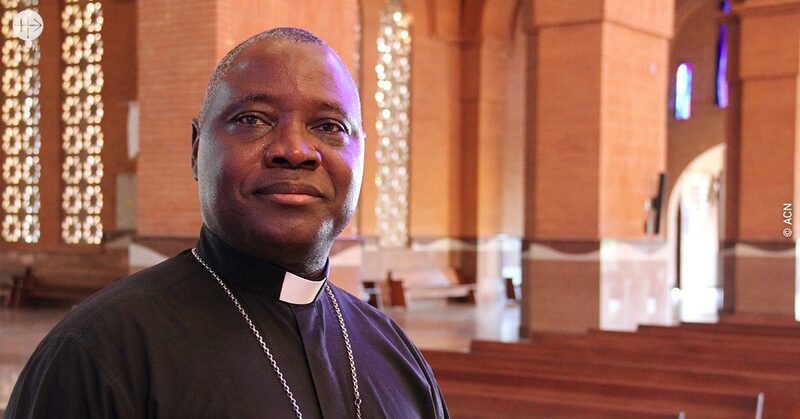 Commenting on the Fulani herdsmen attacks in many parts of the country, especially in his Archdiocese of Jos, Most. 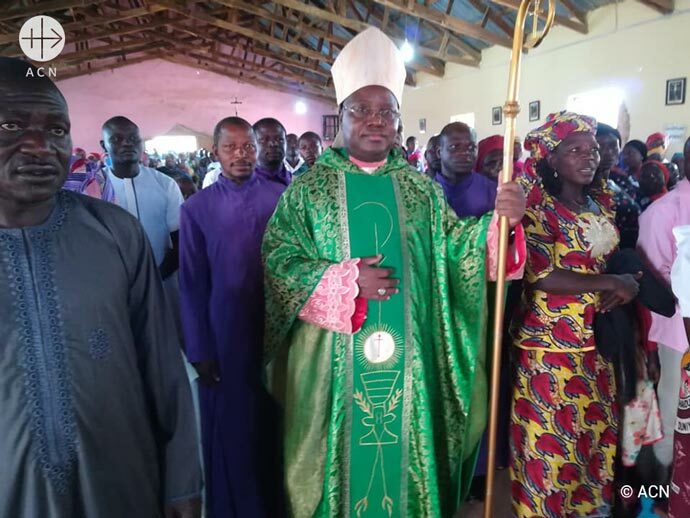 Rev Ignatius Kaigama said, “once again, in Jos, innocent lives have been lost, properties destroyed, healing wounds re-opened, psychological trauma caused, inter-ethnic and religious suspicion rekindled”. “The people have been unable to go about their normal farming activities this year because of the fear of constant attacks. They certainly need help with food, medication, clothing and above all, to be able to return to their homes to start rebuilding without any further molestation by the merchants of evil”, he said.